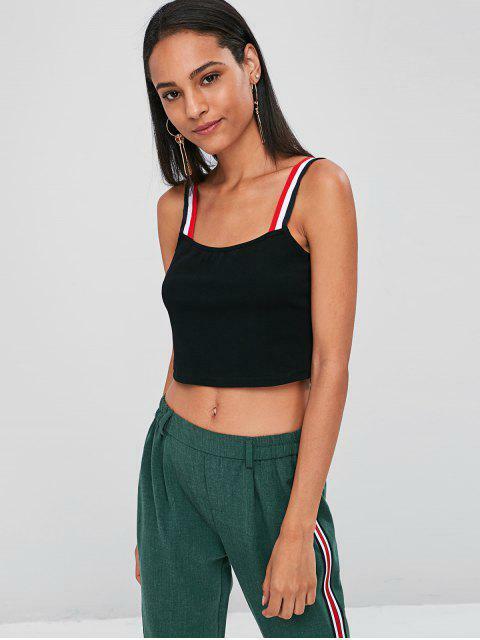 [34% OFF] 2019 Striped Straps Crop Tank Top In BLACK | ZAFUL .. Check this stylish tank top out. With a square collarline, it features elastic striped straps and an alluring cropped length. Pair it with your trendy bottoms for a breezy summer look.